Har ki Doon Valley is as beautiful as a lucid dream. 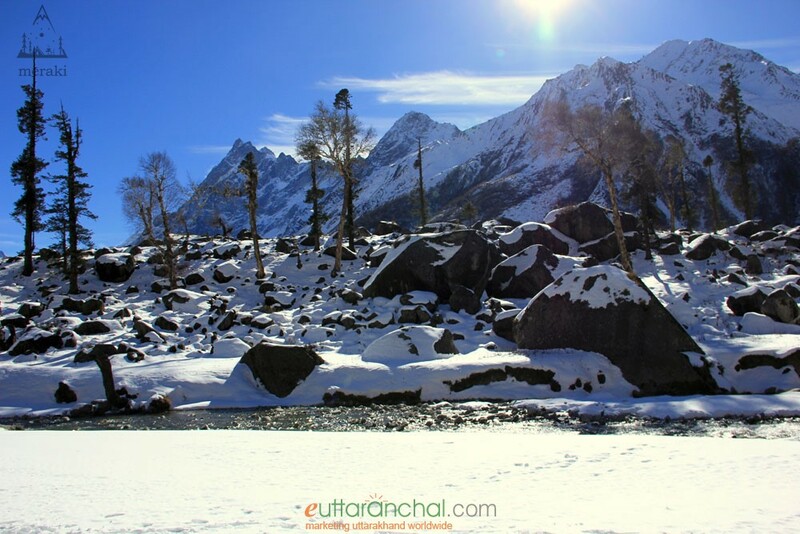 Situated on the south east of Jaundhar Glacier at an elevation of 3566 mts above sea level, Har ki Dun Valley is believed to be the playground of gods. Those who are new to the world of trekking, Har ki Doon can be a perfect start for you. The valley is surrounded with enormous snow-laden Himalayan peaks including Hata Peak & Swargarohi Peak, whereas the southeast region is covered with dense forest. Ruinsara Tal is a high altitude lake surrounded by lush green meadow and bhojpatra trees. Located at the foot of Swargarohini Peak, Ruinsara Tal is a blessed lake and unlike any other. 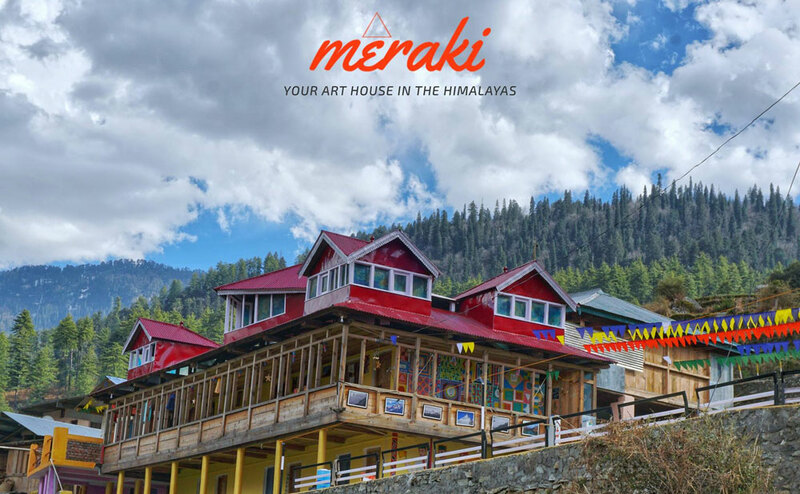 Top it up with Har ki Dun trek and you are going to spend the most beautiful week in the valley of gods from where Swargarohini peak soars high. *Note: Keep 1 Day as buffer (in case required to weather or any reason). It will be charges on pro-rata basis if utilized. There is a 12 kms jeepable road connecting Sankri with Taluka. If there is a blockage due to landslide in between then you must cover the remaining distance by trekking. This stretch is fairly easy and can be done in just 3hrs on foot. This trekking stretch won't tire you up but rather prepare your legs for the journey ahead. The trail enters the dense forest of chestnut, walnut and chinars. Taluka village is situated at an altitude of 2,410 mts above sea level. The trekking route from Taluka to Seema stays on the right side of Supin River. While trekking you will come across couple of alternative routes that leads to different Jaunsari villages, avoid them and stick to the trail. After trekking for 8kms you will see a village with wooden houses across the river, this is Gangad Village. It takes another 2 hours from this point to reach Seema. There is a GMVN Guest House at Seema along with couple of shops and houses. After reaching Kalkati Dhar there will be a change in scenery and the trail will become less demanding. You will see the shepherds grazing their flock and several trekkers passing through. Since Har ki Dun region comes in Govind Ballabh Pant Wildlife Reserve, you will witness a wide variety of flora and fauna with passing this trail. Soon the route opens up and Hata Peak becomes visible. Har ki Dun is situated at the foot of Hata Peak. There is a beautiful camping ground at Har ki Doon with a calm stream flowing in between. It is the best camping site you'll come across while trekking to Har ki Dun. Descend on the trail towards Seema and cross the river for Debshu Bugyal before reaching Seema. After gradually climbing for 2 hours Debsu meadow comes into view. Debsu Bugyal is a beautiful meadow 2 kms in length but not that wide. After crossing Debsu Thatch you will have to cross couple of wooden bridges over the gushing Ruinsara Gad. Ruinsara forest area is rich in vegetation but it keeps on receding as you climb up. Ruinsaratal is one of the most scenic lakes of Garhwal Himalayas over looking lofty Himalayan peaks. Surrounded by birch trees, Ruinsara Tal (3630mts) makes a perfect campsite but this region is exposed to cold winds. The lake is surrounded by bhojpatra trees which adds to the lake’s beauty. 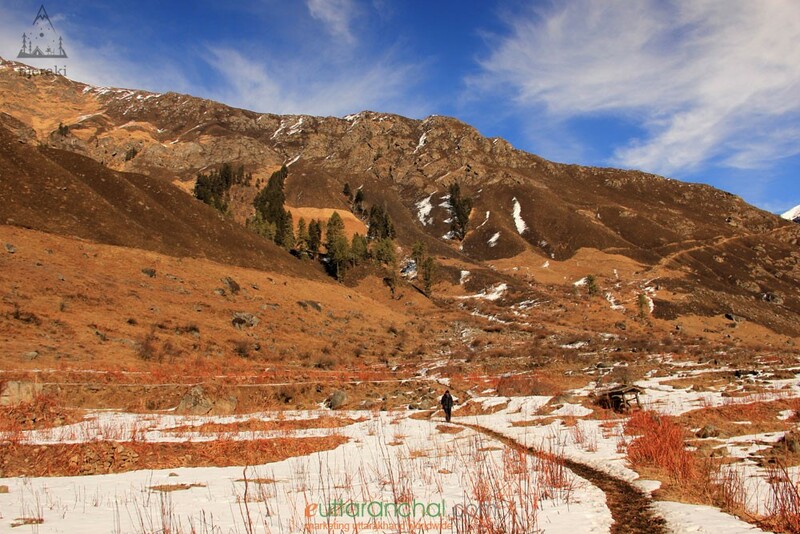 The trek to Ruinsara Tal from Rainbasera is a pleasant walk and not tiring. After reaching Ruinsara Tal you can further explore the region and return to campsite. Downhill trek to Seema from Rusinara Tal will take around 6-7 hours to complete. Reach out to us to get a custom itinerary of "Har ki Dun with Ruinsara Tal Trekking Package" package!